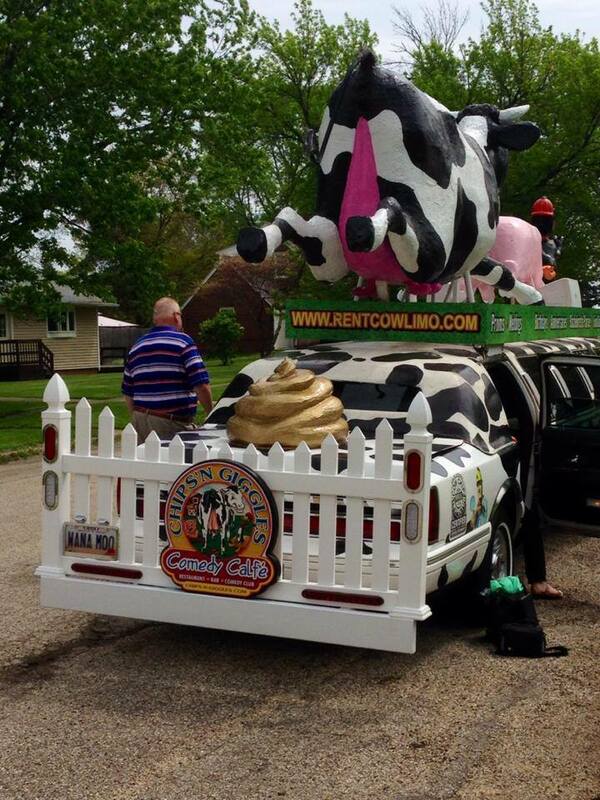 So last weekend a funny thing happened on the way to Chestnut Street Inn. 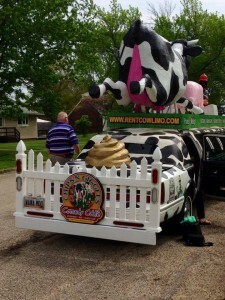 Pretty much all of Bureau County and half of central Illinois got paid a visit by this Limoosine. It was quite a sight. I think it may have been the most exciting thing to happen in Sheffield in a while. Certainly a first for us in 9.5 years. 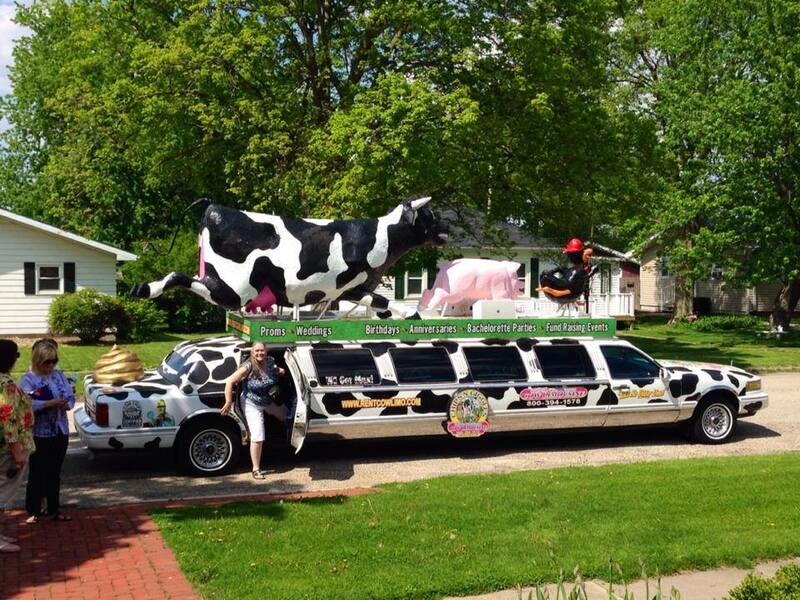 These awesome ladies were celebrating their 60th birthday’s collectively and they decided to travel in style. When the Limoosine arrived, the cow had steam blowing out of its rear end and then the vehicle began blaring Cyndi Lauper’s “Girls Just Wanna Have Fun” very loudly. I believe at least 4 neighbors stopped by to take a photo. 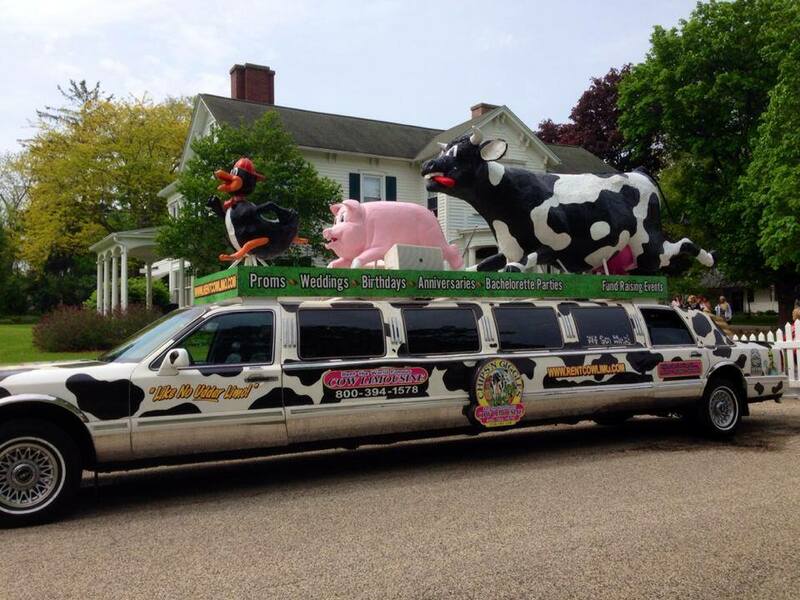 I know several people have stopped me to tell me they saw the cow limo on Facebook and I know they weren’t on my friends list. Perhaps the most spectacular part of the limoosine was the golden poo on the backside of it. A sight to behold really. A colorful ride to be sure, but what was even more spectacular was the inside, which was decked out with a mirrored ceiling. One last view from the front. CSI looks pretty darn great in the background. 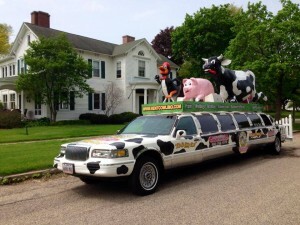 Don’t worry, this is not destined to become the official ambassador vehicle for us anytime soon. But sure was a lot of fun. If there is one thing we can say about being innkeepers, we do get lots of super fascinating guests who give us lots to talk about and laugh about. I think we could all benefit from taking ourselves a little less seriously sometimes.